The only thing we are truly sure of is what is in the present. 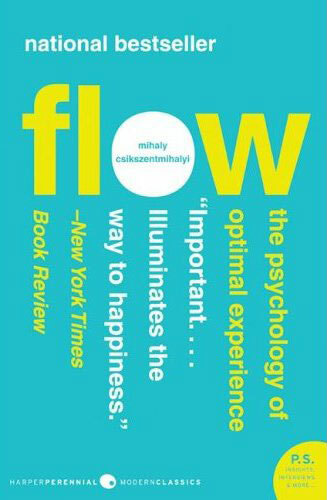 In his book Flow, Mihaly Csikszentmihalyi delineates five characteristics that promote optimal experience for children and, thus, have a lasting impact on how the children develop (p. 88-89). Clarity. Goals and expectations are clearly stated. Centering. The parents stay grounded in the present with what the child is doing. They are not, for instance, focused on what college their kindergartener will be going to in 12 years. Savor the moment. Feedback is powerfully important. Choice. Parents allow, and the child has internalized, that options exist for them. Life is not regimented in all aspects, shapes and forms. A sense of self-efficacy is nurtured. Challenge. The parents present opportunities for the child to stretch and, yes, even fail. They aren’t always there to “protect” them from failure. Feedback comes in many forms. Clarity. The mission is clear. Goals understood. Expectations stated. The teacher and students have goals and expectations. The supervisor and employee have the same. They need to be articulated with clear communication. Centering. While the classroom and workplace is goal oriented (what are we wanting to accomplish? ), there remains a clear connection to the present. Savor the experience in front of us. The only thing we are truly sure of is what is in the present. As Leo Buscaglia said years ago, “Yesterday is a canceled check; tomorrow is a promissory note; today is the only cash you have – so spend it wisely.” This present will create our future. Embrace it. the need to allow their employees to explore and experiment. This does not just happen; it has to be nurtured over time. Commitment. Effective teachers and workplace supervisors create an environment for experimentation. A lock-step “this-is-how-we-do-things-around-here” mentality gives way to a “what-better-options-may-exist” mindset. Challenge. When the previous four characteristics exist, it becomes easier to create and maintain an atmosphere that stretches our students and employees. They are not fearful of how it affects an arbitrary grade or a once-a-year performance evaluation. They understand that if they aren’t failing, they aren’t stretching. What can you do this week to encourage these five characteristics for those you coach and mentor? I’d love to learn from you. On July 15, I will offer my next webinar. The topic: Fostering Civility and Nurturing an Attitude of Gratitude. Take advantage of this complementary offering. Click here to register now for the webinar. Or go to my website for registration information. Thank you for taking the time to read my blog post. Please share it (and any of the archived posts on this site) along to friends and colleagues. You also can follow me on Twitter, LinkedIn, and Facebook. If you get a chance, visit my Facebook page and join in–or start–a conversation (www.facebook.com/stevepiscitelli). If you have suggestions for future posts, leave a comment. Make it a wonderful week! This entry was posted in leadership and tagged centered, challenge, choice, expectations, flow, goals, intrinsic, leadership, motivation, workplace environment. Bookmark the permalink.